KoffieStraw is a reusable, biodegradable, super eco-friendly straw. It's perfect for hot or cold beverages, whether it's coffee, wine, tea, water, or anything else. The patented design even features a slim opening and a custom angle to provide the right amount of flow onto your taste buds, without flooding your smile with staining beverages, so you can better protect your teeth as well as the environment. 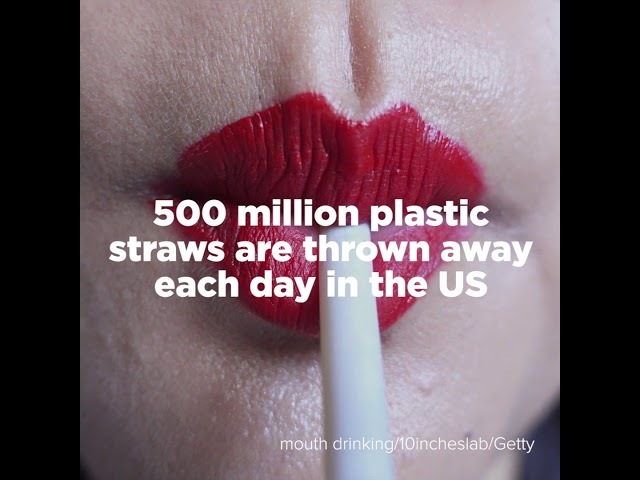 The straw is made of certified food grade silicone, so they're safe to use in hot drinks, and you can easily rinse and reuse them. They're even dishwasher safe. This set of 8 straws comes in 2 packs of 4, with compostable packaging and a cleaning brush. Each straw is 10" long, and the set features cool, neutral colors. They can even be trimmed to size for the perfect length.